The Burgoo Food For Comfort Cookbook Giveaway Winners! Thanks to everyone who submitted their food photos; I have declared a winner (winner, chicken dinner)! I received some pretty nice submissions and others who’s spirit was in the right place but who’s technique could use a little work. In the end I appreciate everyone who took the time to send me a photo, or three and hope that you’ll participate in the next giveaway coming soon in the new year. In the end the winning photo offered the most complete mise en scene, that is to say the right combination of light, composition and content. 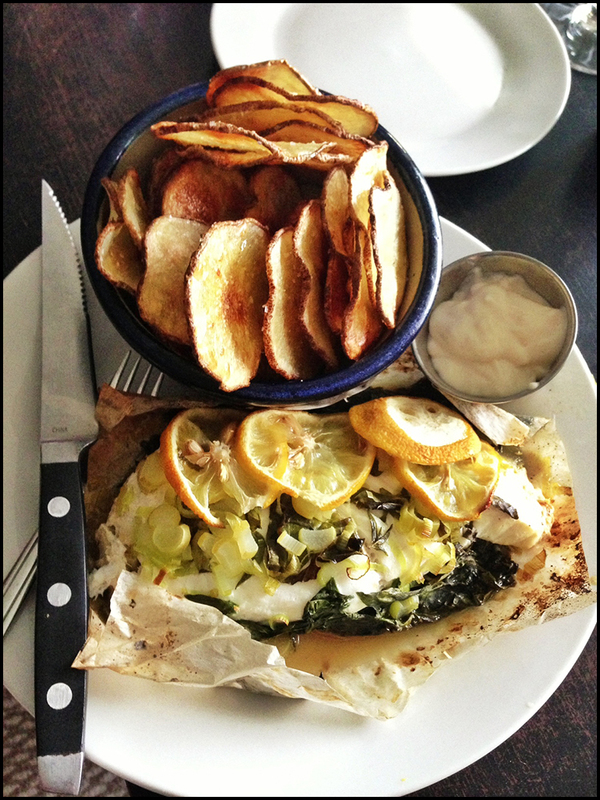 Congratulations to Steffani Cameron in Victoria who submitted a nicely composed image of Oven baked “chips” with halibut en papillotte on a bed of kale & leek with mayo dip. 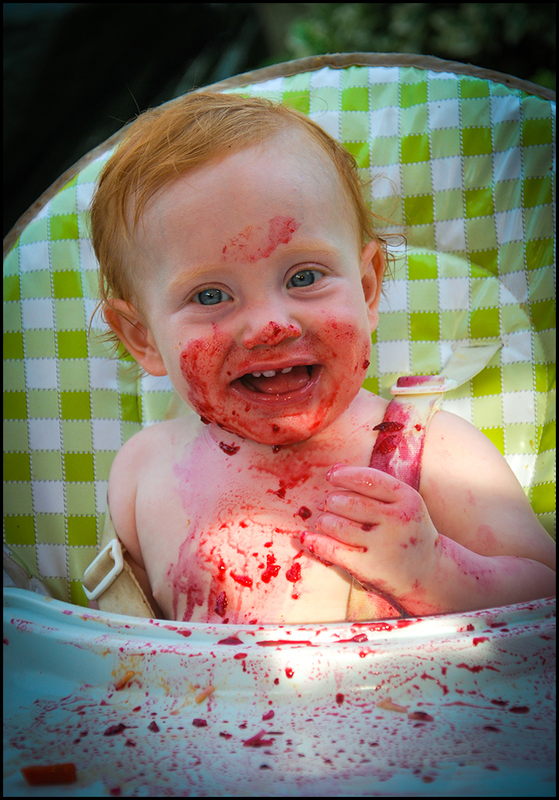 Thanks to Adrienne Denham, Simon Whitehead & son Bryn for this team effort to capture and submit this photo of Bryn and what’s left of his first experience with cherries. Nice work Shannon Penway! 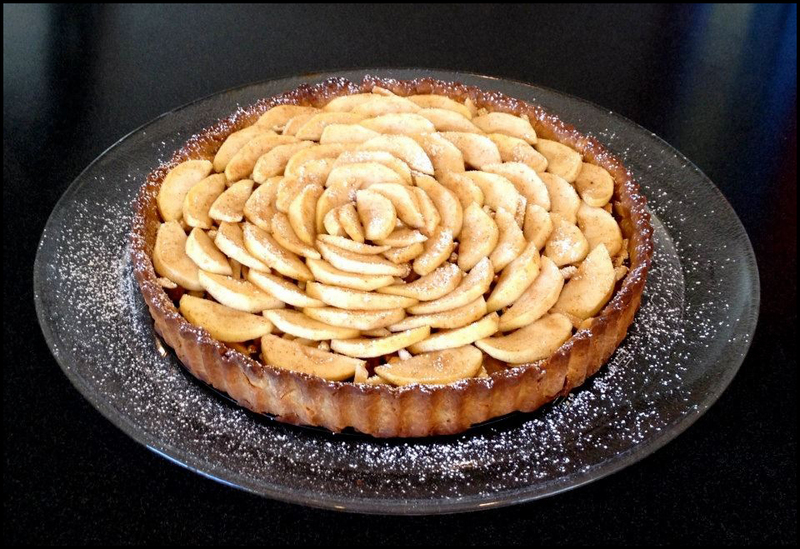 Looks delicious, can I invite you for dinner, and can you bring this apple tart? 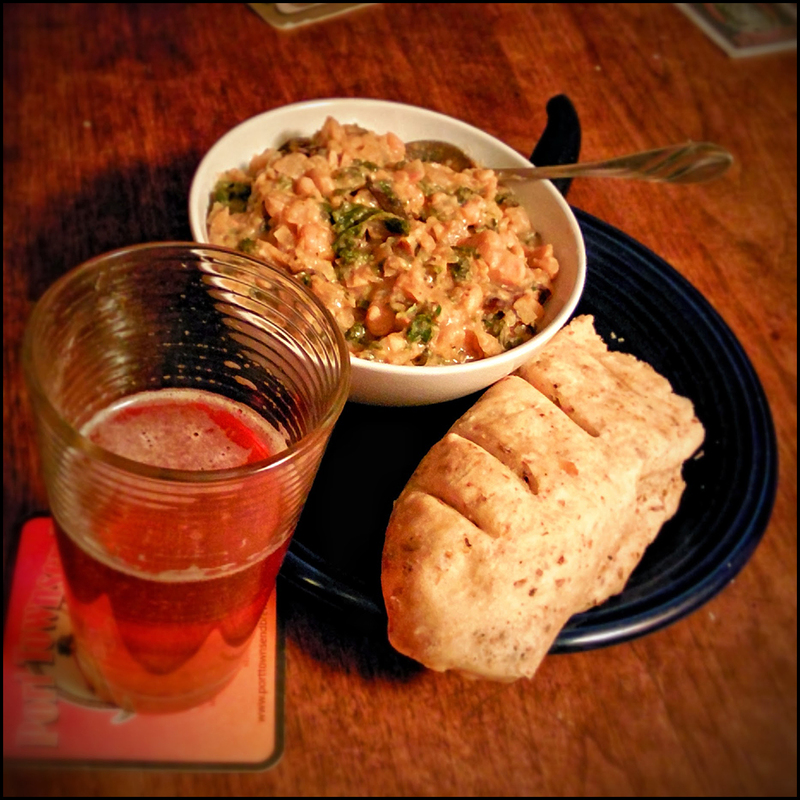 Getting right into the spirit of it is Tom Skinner and his pic of a recipe taken from the prize in question; Tuscan Bean dip with home made beer and bread. Thanks to Margaret Buttner in Vancouver for her enthusiastic submissioning, Michael Payne in Dallas, Andrew Tang for his capture of his Brother-in-law’s lovely and meaty roast creation, BCBR’s own Colin Wilson for his pics of pizza and waffles, you’re welcome to stay with us anytime (as long as you bring your waffle maker!) Whistler’s Tara Colpitts @Whis_Foodie; follow her on Twitter. Thank’s to my father-in-Law, Dr. Kenneth Carty for capturing the spirit of the season in his photo of volunteers preparing meals for Out Of The Cold and finally to Phil Mowatt who’s Butter Chicken Lasagna is Tippie Approved. Finally to Bill Carty, who contests no meal is complete without three dozen sausages!